Do You Need Spares Or To To Get Yours Working Again? 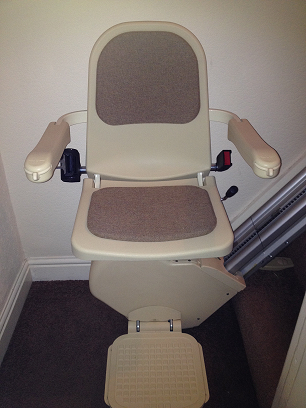 Click the picture of the stair lift below to go direct to our contact page for quick advice. The lift market is split between new lifts and reconditioned units. The majority of lifts bought in the UK today are new models mainly because any potential customers see more marketing from the main manufacturers for new ones but reconditioned ones are available if you know where to look. The market for reconditioned lifts is generally served by smaller stair lift firms who tend to service their local geographic area. The need for spare parts is found more predominantly in the reconditioned or second-hand market. Also there is a small DIY market, and so people may have purchased a second hand model that they have found to be faulty or has recently broken down, and so are searching for the right spare parts for their model. People on a low budget may have passed the manufacturers warranty period, which is usually five years, yet still find their stair lift usable and do not wish to buy a new one. Sometimes that particular brand or version has been discontinued, and therefore the manufacturer isn’t able to offer servicing or spares. 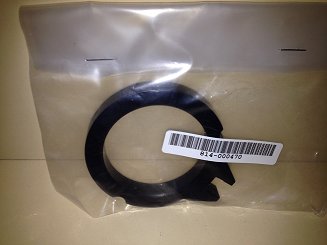 The spares market is therefore suitable in these cases. Straight tracks can be reused on a different staircase, although curved tracks must be made to measure and so are unlikely to fit the new stair dimensions. All racks are made from steel or alloy, and can be used again on a 13 stair or less set of stairs. It goes without saying that the carriage and seat must be from the same manufacturer as the track. The carriage is the main engine of the device and contains the motor and rollers which the chair uses to climb up and down the stairs track. Inside the main carriage are electro mechanical components, so it is best for any repair work to be carried out by a competent electrician, to ensure your safety on the lift. They also house the LCD display, which will be able to tell you what is wrong with a lift by flashing a particular number. In the picture to the right the display is flashing 2 which means that it is off its charging point. The seat comprises of the base, the backrest and two arms. Usually made from a heavy duty plastic, this part of the lift rarely needs replacing. If the seat has cracked from being used to carry a heavier load than usual, for instance, carrying large shopping bags or items upstairs, then a new seat can be simply fitted in its place. 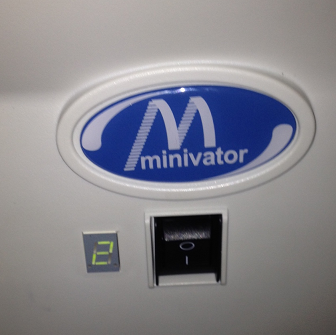 A common fault is the seat swivel switch actuator (pictured) which can break when the seat swivels round. The printed circuit board (PCB) for the lift is only suitable for each individual model. In order to get the right spare replacement you would need the make and model number and preferably the serial number of the lift. Used lifts can be dismantled and their individual parts used for spares. Unless the spare circuit board has been purchased from the manufacturer and installed by a recommended dealership under warranty, then it is unlikely that the spare board would have a year long guarantee period. Your model might need replacement batteries if it has been running for three or four years. So if your lift is gradually going slower it is very likely that the batteries are running low, especially if it is around that age. If it is a lot newer then it is more likely to be not properly charging up. A service or warranty call can verify that for you. Most models use two batteries in series that are 12 volts and 7 Amps per hour. Replacement batteries can be fitted by a competent person using a pair of pliers and a Philips screwdriver. A pair of batteries cost approximately £26.00, and can be used in all the main UK chairlift brands. A sample battery installation guide for Acorn lifts is here >>> Acorn battery installation guide. A professionally trained lift engineer will follow the procedures for installing a chair lift, that is detailed in the installation manual. Installing one can take less than an hour for a competent professional, but an amateur do it yourself installation may take much longer because of their unfamiliarity with what is involved. Each device always has a hand, which means, like a pair of gloves, they are made to only fit the left-hand or the right-hand of a set of stairs. There have been unfortunate cases where a left handed chair was placed on a right handed rail which as you can imagine was very dangerous.